David Tennant, who plays the iconic role of the Doctor in the revived Doctor Who series, told SCI FI Wire that it was difficult shooting the final scene with fellow cast member Billie Piper, who left the show at the end of the second season. "Of course that scene meant that Billie was leaving the show (although it wasn't the final scene she shot), and that was very sad," Tennant said in an e-mail interview. "She is a great actor and had become a great friend. It's also a beautifully written scene, and even when we ran through the lines together on the makeup bus that morning, we started sniffling. In fact, in the video diaries on the DVD you can see us both have a good old weep about the whole thing." In the recent special The Runaway Bride, which aired on Christmas Day in the United Kingdom, the Doctor did not take on a new companion, but he won't be on his own for long. Freema Agyeman will join the show in the third season on the BBC as medical student Martha Jones. "The Doctor and Martha have a very different relationship to the Doctor and Rose," Tennant said. "The Doctor doesn't really think he needs a new traveling companion at the moment, but Martha makes herself indispensable." Tennant said that he understands what it's like to take over for a popular Doctor Who cast member; he replaced former Doctor Christopher Eccleston in the second season of the show. But he let Agyeman find her own way of dealing with the pressure. "Oh, she doesn't need any advice, and I wouldn't be pompous enough to offer it," he said. "Freema hit the ground running and has inhabited Martha Jones from day one without a hint of trepidation or nervousness. I found myself quite envious of her confidence. She is going to be brilliant." But don't expect the Doctor to get over Rose so quickly. 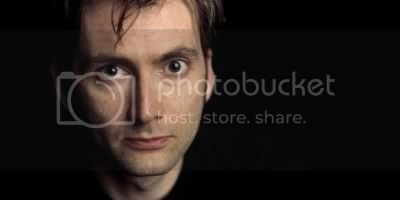 "As with any big relationship, it takes time for the scars to heal," Tennant said. "Perhaps the Doctor feels like he's dealt with it, but Martha might disagree." The second season of Doctor Who was released on DVD on Jan. 16. The third season will begin airing in Great Britain on the BBC this spring.